One of John Rowe’s earliest memories was talking to God in the parlor of his Grandpa Rowe’s farmhouse. As a youth, John talked to God through his music, when he became the church pianist at the Church of the Brethren in Dallas Center, Iowa. Later, he talked to congregations as a pastor, to students as a professor, and to troubled souls as a counselor. 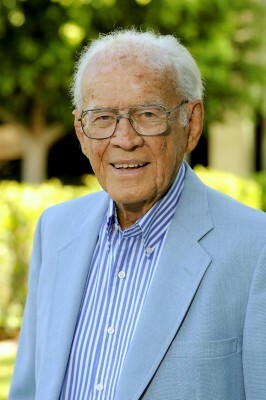 A memorial service for Dr. Rowe was held on Friday, April 25th in HIU’s Pacific Auditorium. A video recording of the service is available at www.youtube.com/hiuniversity.